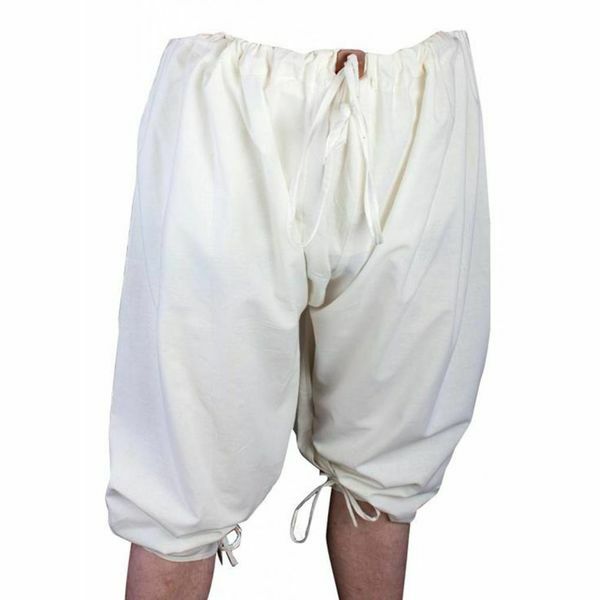 This type of braies were used as underpants below trousers. They protected against heat and gave flexibility of movement. These braies have laces, that enable the wearer to fasten it around the waist and the legs and prevent them from coming down. They are available in size XS-XXL and are made of 100% cotton.